New Jersey Gov. 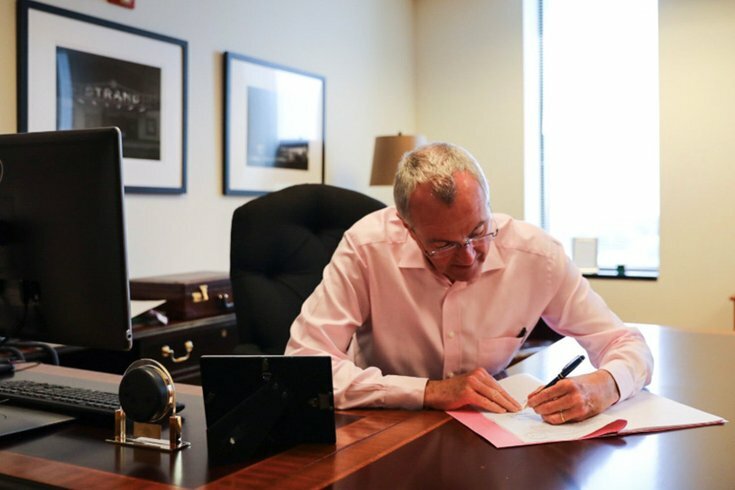 Phil Murphy signs legislation on Monday to approve sports betting in the state. The betting windows at casinos and racetracks in New Jersey will soon be open. New Jersey Gov. Phil Murphy signed legislation on Monday to make New Jersey the second state after Delaware to take sports wagers since a Supreme Court decision cleared the way for such gambling, the Associated Press reported. He signed the measure four days after receiving it from the Democratic-led Legislature. Dennis Drazin, who operates the Monmouth Park Racetrack in Oceanport, near the Jersey shore, told the AP that Murphy would place the first bet on Thursday. In May, the state prevailed in a Supreme Court case that struck down a federal law that limited sports betting to just four states. With the ruling, any state can pass laws to legalize it. Many are expected to do so.